In Part 1 of this article, AFTER MISCARRIAGE: Postpartum Care for Mothers Experiencing Loss, we discussed the care a woman should receive in the first several weeks after a preterm loss (or stillbirth) to help her through the grieving process, to assure her return to vitality, and—according to the precepts of Traditional Chinese Medicine—to increase her chance of a successful pregnancy the next time she conceives. Here in Part 2, we’ll address the question: When should we try to conceive again? It would be nice if there were one, but the answer is that there is no one answer. Conceiving life is a sacred event, and there is no single fact or consideration that can offer a single best answer for everyone. However, since there are biological and emotional ramifications of pregnancy and loss, there are factors we should consider when deciding when it’s best to try to conceive again. That is indeed the ultimate question in any woman’s mind. However, the western medical industry offers studies with tremendously conflicting results to answer that question. A new report by researchers at the University of Aberdeen in Scotland suggests that sooner may be better. The scientists found that women conceiving within six months of a miscarriage have better chances of a successful and complication-free second pregnancy than women who conceive later. But the conclusion is contrary to an earlier report from Latin America that found higher pregnancy rates among women who waited at least six months to conceive; that report formed the basis of the World Health Organization's (WHO) 2005 recommendation that women delay pregnancy for six months after miscarrying. Information like that leaves would-be parents without clear direction, and without seeing the whole picture. In Traditional Chinese Medicine (TCM), the general recommendation is for a woman to wait six months to try to conceive again. Why six months? Why wait at all—especially when many women do conceive again so quickly after miscarriage? 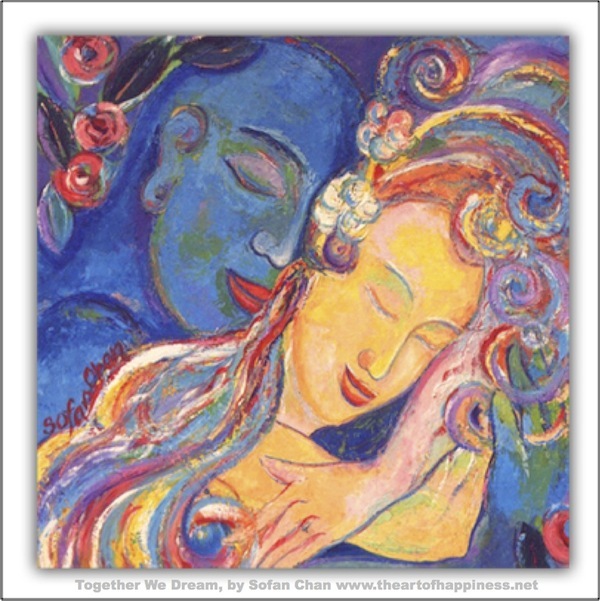 • A woman’s body has experienced huge hormonal shifts, and the body requires time to readjust. • A woman has experienced a loss of chi (“energy”), blood, and jing (described in Western terms as “kidney strength” or “life-force”)—an abundance of which is required to carry, deliver, and nurse a healthy baby. • A waiting period helps the mother rebuild strength—not just to assure that the next pregnancy goes full-term, but to increase her chance of a healthy postpartum recovery; of a healthier, stronger baby; and—down the road—a healthy menopause and golden years. Though not often discussed or understood in western medical circles, the postpartum time can be one of great strengthening or significant diminishing of a woman’s health and vitality long term. I contacted internationally acclaimed Dr. Ning X. Fu to discuss this issue. “When I first discovered women in America have no recovery time or care after miscarriage I was shocked. In China there is a government-mandated period of three weeks in which she has leave from work and receives postpartum care. The chi and blood loss in her body after miscarriage can lead to blood stasis (or stagnation). but it is also easy for them to miscarry again. This is because the chi deficiency, blood deficiency and blood stasis, in the short-term, can make it difficult to carry full-term. In the long-term it can lead to fibroids, tumors, and cancer. Our discussion so far has addressed a few of the physical reasons for waiting. There’s another issue to discuss: grief. Miscarriage can be traumatic for women—and trauma leaves physical and emotional wounds that require time and attention to heal, even if a woman had postpartum care in the first month to several weeks. From my personal experience, after my second miscarriage the sight of blood (even in basic food preparation) would send me into a state of anxiety and grief that could last several minutes or hours. Being immersed in the birthing world, I frequently hear stories from mothers about the ways they are haunted with grief, guilt, and anxiety after their miscarriages, even years later. Though these responses are common, they are not to be ignored. Conceiving again in that state—of course—can bring joy and help lift one into a healthier state. But is it ideal to conceive in that state? Is it ideal to embark on any new and significant life journey from a weakened position, or in the hopes that it helps us bounce back? The answer to those questions is personal, and I asked professionals in the industry for their input. “Families who consider conceiving soon after a pregnancy or perinatal loss may want to carefully weigh that decision. While there is no one right path, each family needs to think about what the decision to conceive means for them in their personal situation- only they know what will be most healing and healthiest for them. Will trying to conceive and/or being pregnant soon after a loss allow the family needed emotional and physical space to do the work of grief? Will the family have the energy and emotional resources to focus on the subsequent pregnancy as fully as they’d like? How will acute grief emotions impact a baby in the womb? We’ve addressed physical health, mental health, and now…what about age? A question that could likely be on the minds of all readers 35+ is: Aren’t I wasting precious time if I wait? There’s no single way to address this concern either, so I’ll just share my story with you. I conceived naturally the first time I tried at 38 and miscarried. I waited for 6 months, tried and conceived again, and miscarried again. Now I was 40. Could I really spare even a day to wait again? Not according to most recommendations one would likely hear. It was a very difficult decision, but we concluded that, again, the physical and emotional healing time could not be skipped and we decided to wait. Then, during the waiting period, urgent family matters had us traveling back and forth overseas for several months—not a situation in which we felt it wise to conceive. Six months turned into waiting another entire year—and then we conceived again, and had a beautiful home birth when I was 42. In lieu of the one answer to “when to try again,” here is an answer: No matter how long you decide to wait (or not), allowing yourself and finding support to move through the grief, and giving your body the assistance it needs to return to vigor and strength after loss, will greatly support the cause. This article is intended for informational purposes only and should not be used as a substitute for professional medical care. Allie has studied Asian martial and healing arts since 1989, earning a 2nd degree black belt and certification in TCM nutrition; she is a 42-year old home birth mom; and author of NEW MOTHER: Using a Doula, Midwife, Postpartum Doula, Maid, Cook, or Nanny to Support Healing, Bonding and Growth; and FREE LOVE: Everyday Ideas for Joyful Living. The message of NEW MOTHER is that when we understand our choices and carefully select our support team--when we own our experience--we can create our vision for childbirth and motherhood, and change the course of our lives forever. We do this for ourselves, our partners, our babies, and for posterity. 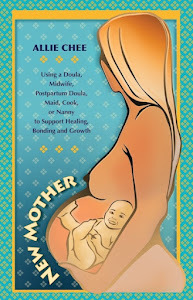 New Mother: Using a Doula, Midwife, Postpartum Doula, Maid, Cook, or Nanny to Support Healing, Bonding and Growth. Click image to order now! Allie Chee's books, NEW MOTHER, FREE LOVE: Everyday Ideas for Joyful Living, and Go, Jane! are available in print & e-book on Amazon and Barnes & Noble. 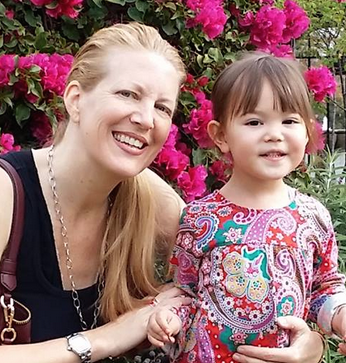 After earning a BA in literature, a second degree black belt in Asian martial arts, and certification in TCM Nutrition, 20 years traveling in 50 countries, working in numerous entrepreneurial ventures, and serving four years as co-publisher for a leading financial industry publication, Allie Chee lives in Silicon Valley with her husband and daughter. Becoming a home-birth mom at 42, her mission now is homeschooling her daughter and helping people give themselves permission to take their health and family as seriously as their start-up or career. The Birthing Site: Who Uses A Doula? 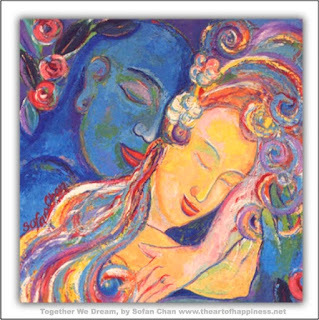 Holistic Networker-Where Should My Baby Sleep? The Birthing Site - Prenatal Glucose Test: Is it Necessary? • If you believe that--no matter what schedule constraints or financial challenges--family, friends, and community come first, Free Love is for you! Want to know the message of New Mother? This reviewer, more than almost anyone, saw to the heart of New Mother and what it can mean for new families & society. Texanese Mama (c) 2011. Awesome Inc. theme. Powered by Blogger.